Sairecábur volcano is a stratovolcano located on the Chile-Bolivia border. 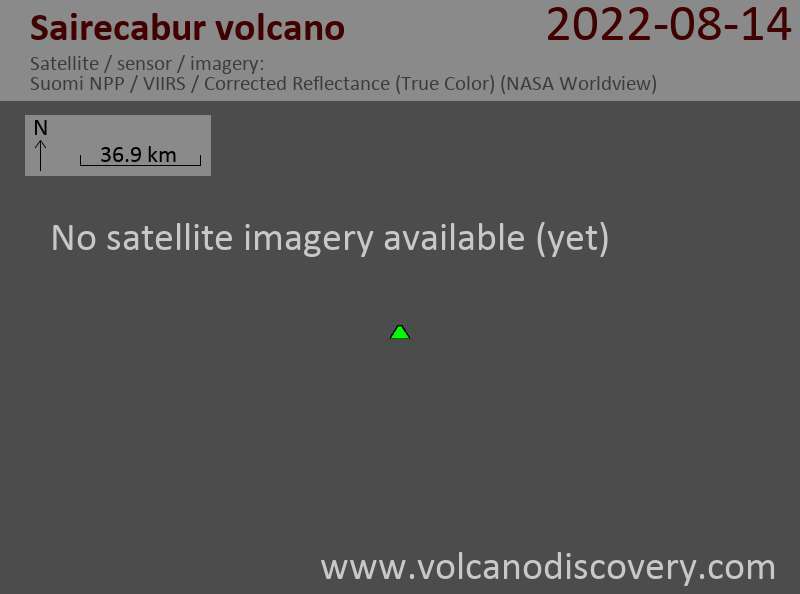 It is at the south end of a volcanic group containing at least 10 vents, including 4 major stratovolcanoes: Cerro Sairecabur (5,971 m), Curiquinca (5,722 m) at the NE end, Escalante (5,819 m), and Cerro Colorado (5,728 m) at the NW end. 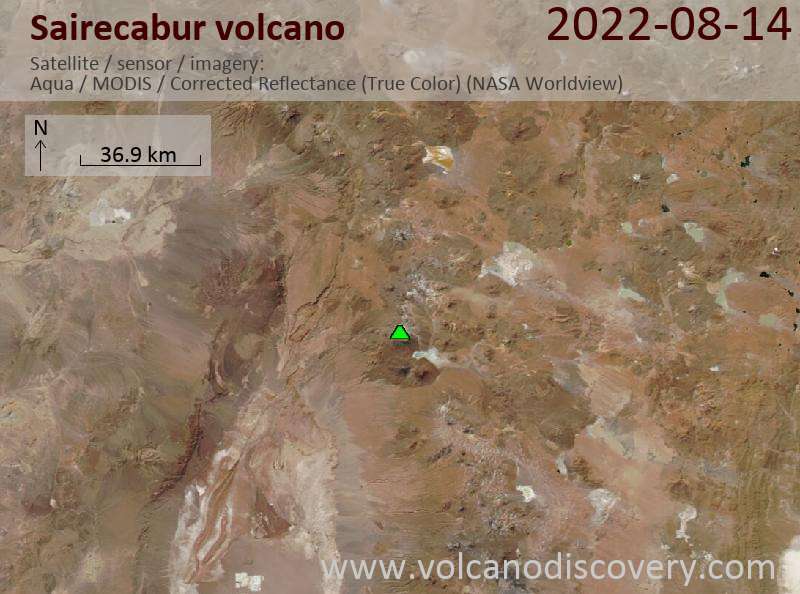 Sairecabur volcano contains a 4.5 km wide caldera, a crater lake at its summit and young lava flows on its flanks, but there are no historic eruptions. There is an active sulfur mine is on the north side of Sairecábur. The Receiver Lab Telescope run by Harvard-University is located at 5,525 m on the flank of Sairecábur.